Description: This is a fun collaboration of piecing clothing to create a more stylish rendition of the original outfits worn by Disney characters. 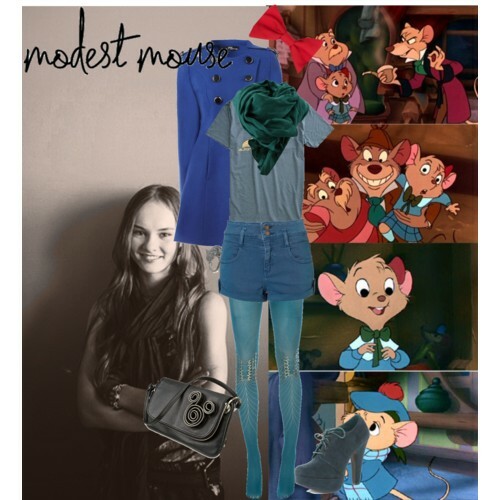 For The Great Mouse Detective, they too have been treated to a new modern (and feminine) look. This one is for Olivia Flaversham. This photos originally came from Polyvore. Set title: "I'll never forget. Created by kissesferyew.